The smart home is growing in popularity. This video helps you start your smart home by helping you create a solid plan. Home automation is about more than just the gadgets. Sure you can go out and buy an Amazon Echo or a Google Home and stitch together a few devices. But if you want a real smart home, you need to look at a smart home hub. The video will make the case for a real hub, and discuss lighting options for your new automation experience. The @OSRAMAmericas #Lightify A19 Full Color LED Smart Light Bulb is an easy #DIY setup. 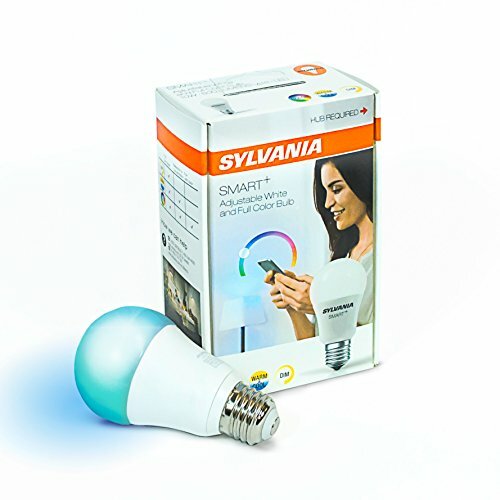 The Osram Sylvania line is a solid alternative to the Philips Hue line of smart LED lighting. Whether you are looking to enhance your smart home or just add intelligent accent lighting, smart lighting is the way to go. With the Osram Lightify, you have a choice of using the Lightify Gateway or connecting directly to the Wink Hub. This is not an option with the Philips Hue, which always requires the Hue Bridge. Step by step DIY 3 way switch installation instructions for your GE or Leviton Z-wave smart switch. Smart home automation would not be complete without a 3 way switch. Today we will go through the details of installing a zwave 3 way dimmer switch. The instructions are the same for a non-dimming zwave 3 way switch installation. Light and fans are often controlled with three-way switches, so if you are installing smart switches, this will be a must.